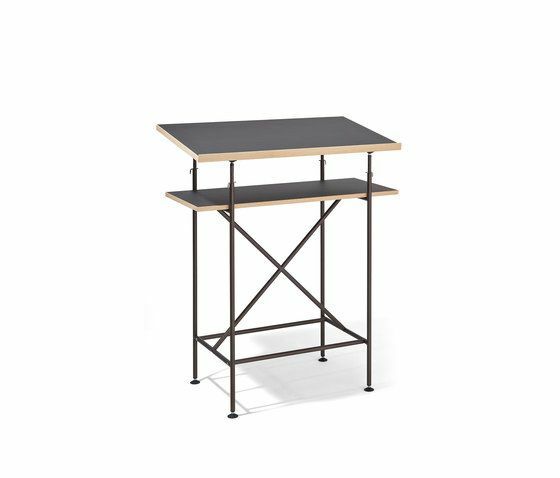 Simple, affordable and demountable: the construction principle of one of the Eiermann table designs has been transferred to this high desk. The detailing is as excellent as in the original Eiermann 1 table frame. You will find both a footrest and the typical crossbars welded in one plane and without the ugly half bars at the end of the cross. To put it simply: “Made by Lampert”. This high desk will change the way you read, work or give presentations. A must-have for everyone who cares about active sitting and standing.